Using ImagineVR Store and Client – ImagineVR Inc.
On this page, we like to explain how to use ImagineVR store and ImagineVR Client (To play the purchased app from ImagineVR Store, you need to install the Client). 1) Please browse the website and learn about the experience you would like to purchase and download. You can read a description, view screenshots, and learn the required specifications for each experience. Once you are ready to buy, please press the button at the bottom that says, “Log In to Buy”. 2) I you have not done so already, you will be asked to create an account by entering an email and password. You will receive an email asking you to confirm your account. This process takes only a few minutes. 3) After creating and confirming your account, please log back in and buy the product by following step 1 above. Note that the button at the bottom will have changed once you have logged in. 5) Once your purchase has successfully completed, please download the ImagineVR Client. Click the Download Client button in the upper right corner of your screen. 6) Please review the required specifications and double-check the client is compatible with your system. Please also read the terms and once you have agreed to them, please click the Download Client button. 7) Please follow the instructions for the installation process. 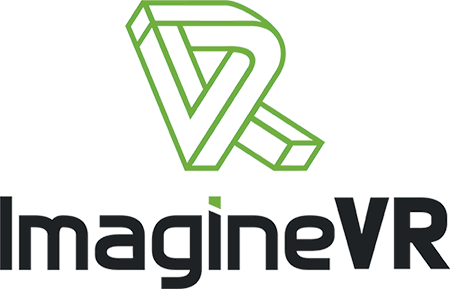 At ImagineVR, we will never bundle any sneakware or other third-party non-essential software with your download. You will be prompted to select what components to install and choose an installation folder. 8) Once installed, please log in with the same credentials used to log in to the ImagineVR website. 9) You will then see a list of your purchased products. Click the Install button in the upper left corner for each purchased experience to install it to your system. 10) After the installation is complete, you can launch the experience by pressing the Start button which has now replaced the Install button.